I’m Mike Whitaker – as most of my online biographies say, I’m a wargamer, programmer, writer and musician, in no particular order. 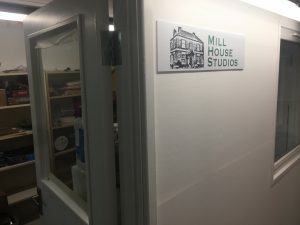 What is Mill House Studios? It’s a catch-all for all my creative projects and work, be it game-related writing, web development, music, podcasting, graphics, 3D design and printing, or whatever. See the Published Work and Current Projects pages for more details. The new office I share with PE2 Collectables is now finished, and we’re both in the progress of moving in to our respective parts. I even have a sign up! Major problem at the moment is the fine layer of brick- and sawdust that leaked into my storeroom, so I’m busy moving everything and dusting it down. 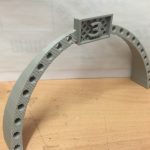 Some 3D design files for Gaslands gates for your 3D printer. I’ve dug out a few more pieces for the game-related fiction page: these are all set in the Firefly universe. You’ll find some of my pieces of game-related fiction on a new page I created for the purpose, various snippets set in FASA’s Battletech universe, Mantic’s Galactic Co-Prosperity Sphere, Osprey’s In Her Majesty’s Name and the Dark Ages setting of TFL’s Dux Britanniarum.